Whether you're seriously looking into solar for your home, or are just simply seeing what it's all about, we know that having reliable information readily available is crucial to anything dealing with solar. Knowing the ideal times of year to install solar, as well as how to properly pair solar with different rate plans, are essential variables when calculating ROI and timeframes. To help answer some of the most common questions about solar, we wanted to shine some light on a few of our most popular blogs from the last year. Covering everything from how solar makes financial sense and current solar incentives, to battery storage and demand-based rate plans, we hope you'll find these popular nuggets of solar wisdom helpful in your own research. If you’ve been thinking about making the switch to solar, now is a great time to make the switch! 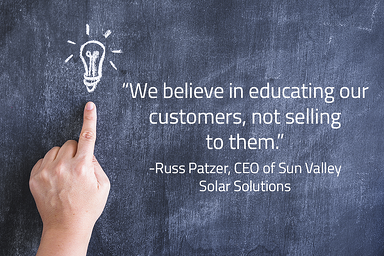 We invite you to contact one of our solar experts for a custom solar quote. If you aren't quite ready for a quote, you can download our complimentary whitepaper: Is Solar Right for You?